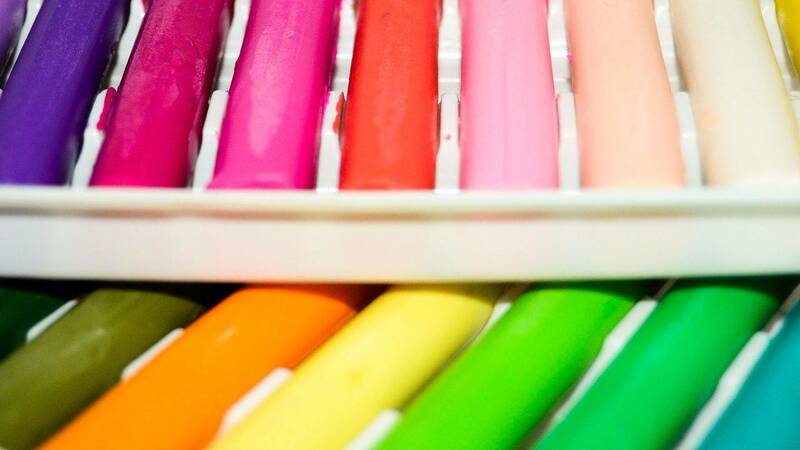 What can be more pleasant than surprises made with your own hands? Especially if it’s a surprise on such a special celebration as the New Year. 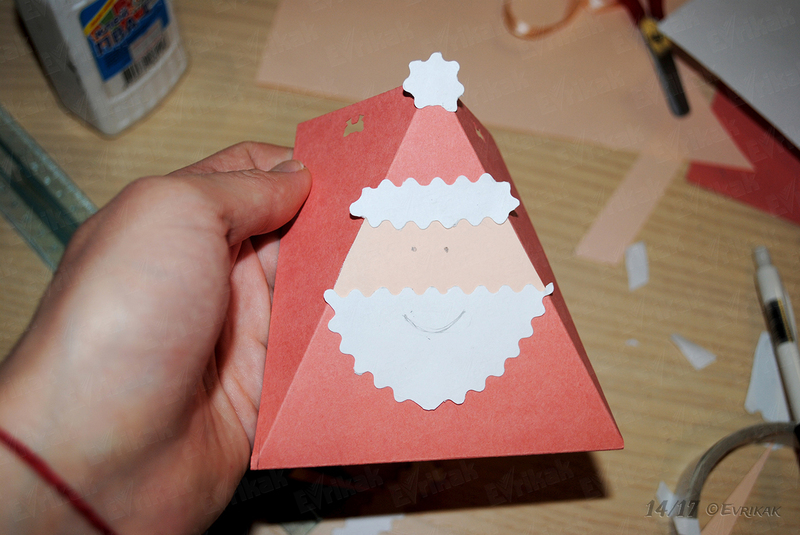 We offer you a cool idea for making gift boxes in the shape of Santa Claus, where you can hide your gifts. 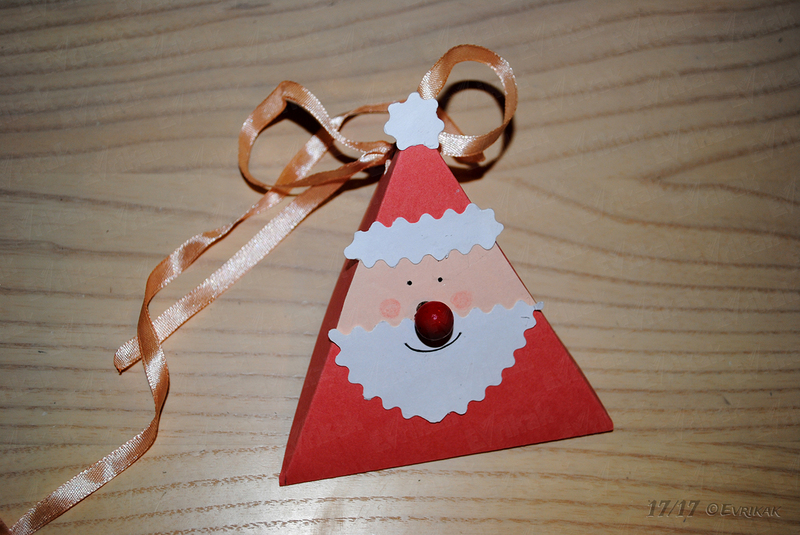 Santa Claus box can also be used as a festive decoration for the New Year tree. It all depends on your imagination. With the help of our step-by- step instruction with photos, this process will take a minimum of your time, but it will bring you a maximum of pleasure. Good luck! Organize your working area. 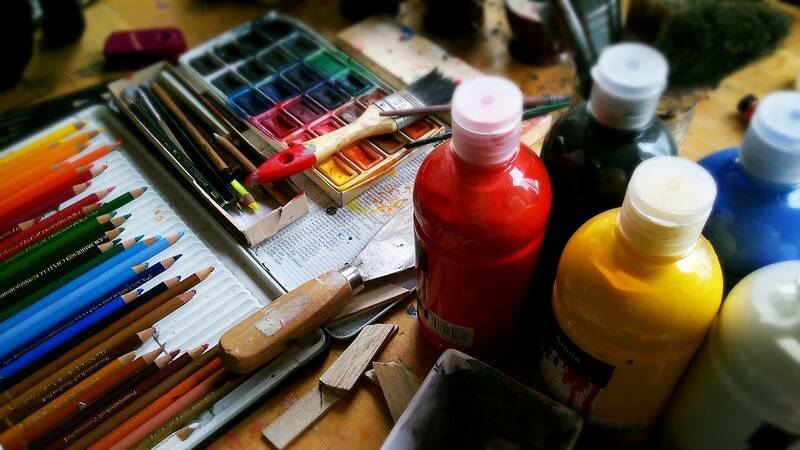 Initially, prepare all the necessary tools from the list, in order not to be distracted then. The work begins from the defining the size of future product. Our box is small. You can choose an individual size of your box, it all depends on the size of your gift. 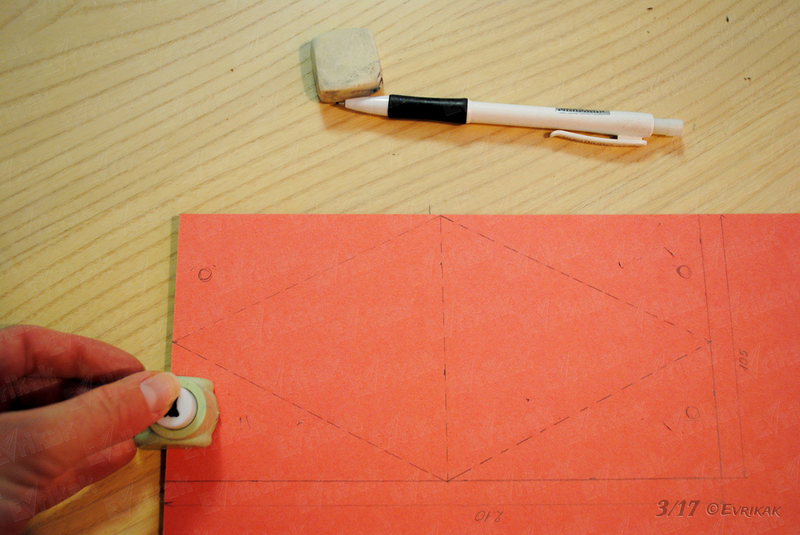 Measure the width of 210 mm and a height of 105 mm with the help of the ruler. You’ve got a rectangle. 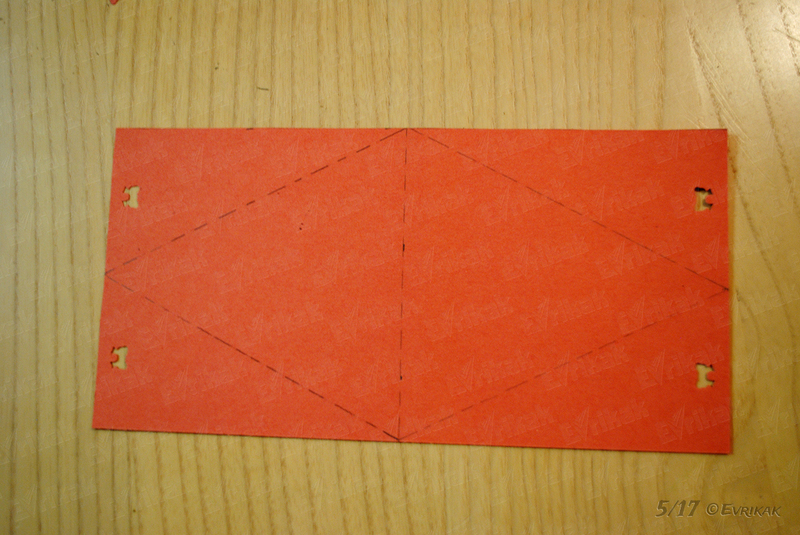 Divide the straight lines in half, making a dot mark on each one. Connect all the dots with the help of dashed line. It must look like as in the picture. Mark the area where the ribbon will be attached with the help of a pencil or a pen. Then make some holes using a figure hole punch. 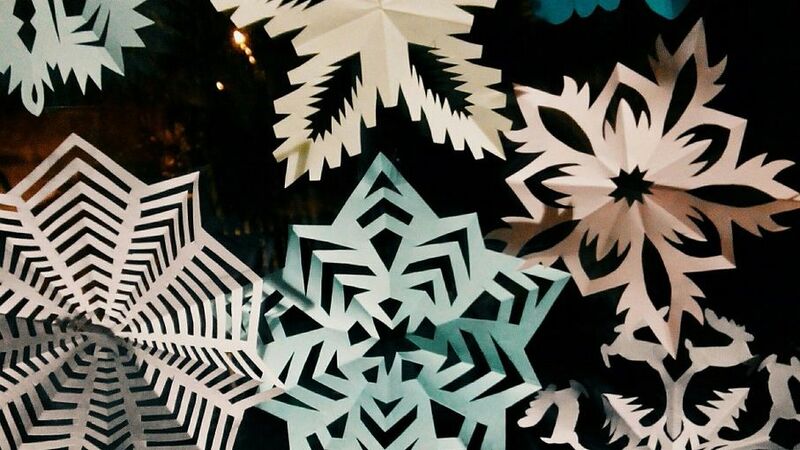 You can use any hole punch. It’s not necessary if it will be a figure hole punch. 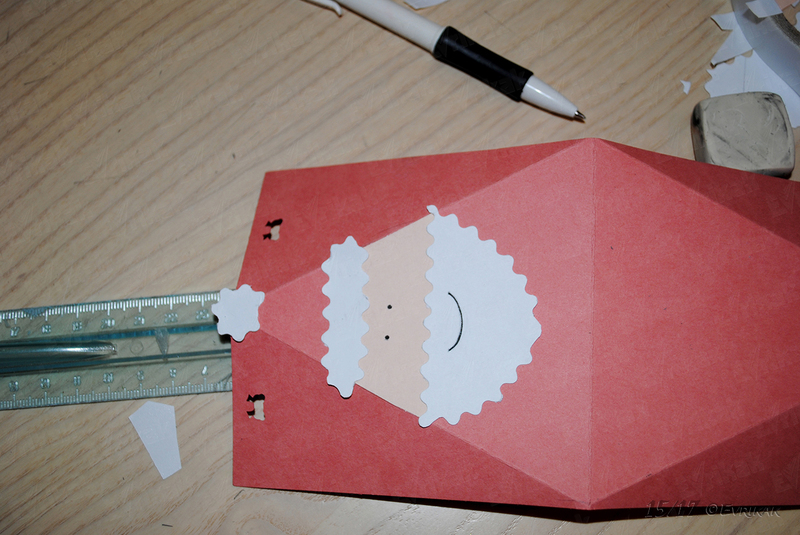 The most important thing is that the holes must fit the width of the ribbon. 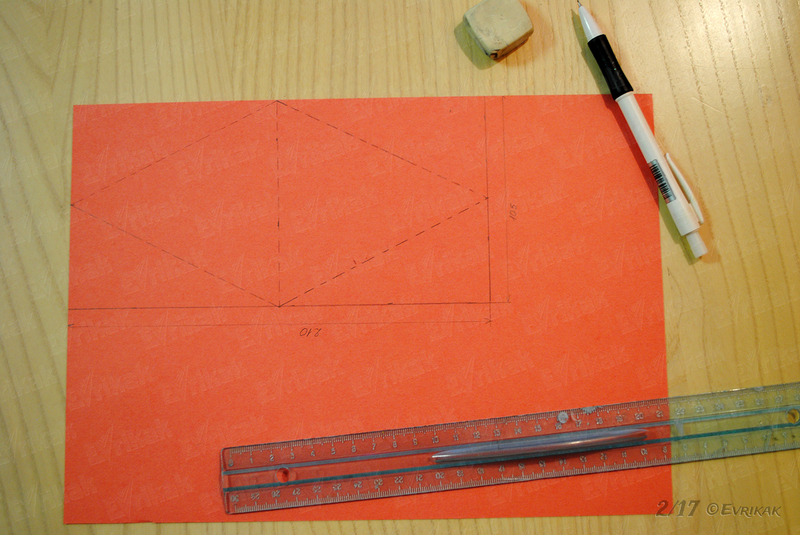 You need to cut the rectangle along the marked perimeter to make holes from all sides. 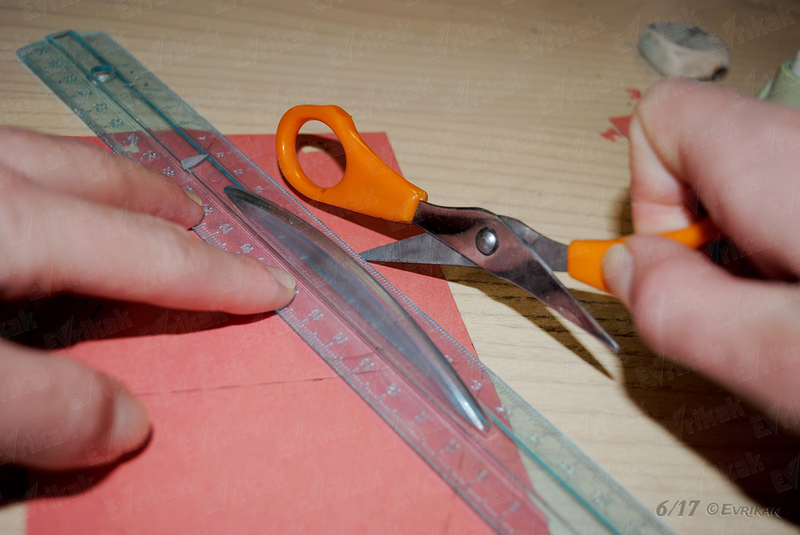 Pressing gently, move the blade of the scissors along the dotted lines. Do this carefully, not to damage the cardboard. It’s better to use a ruler. 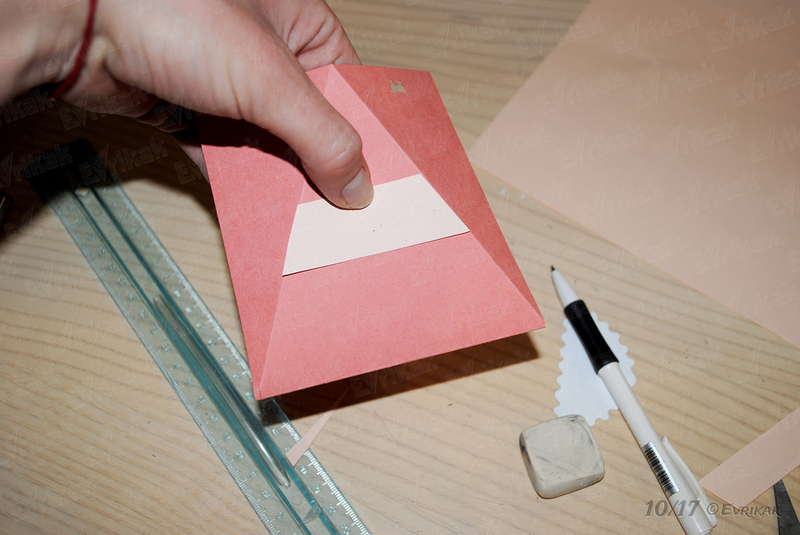 Fold the corners of the rectangle as if they “went” back. The verges must look as it is shown on the picture. 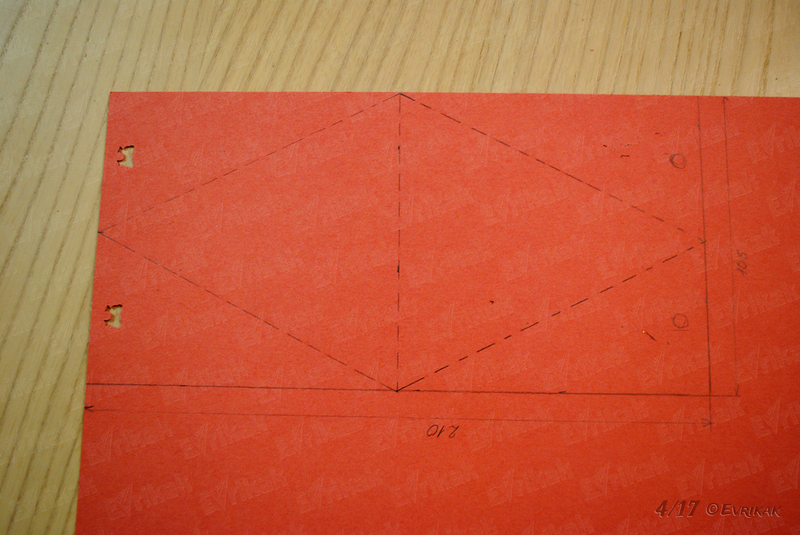 Fold the box in half along the central dotted lines. The holes for ribbons must be in the same position. Then take a beige cardboard. We will make a face of Santa Claus from it then. 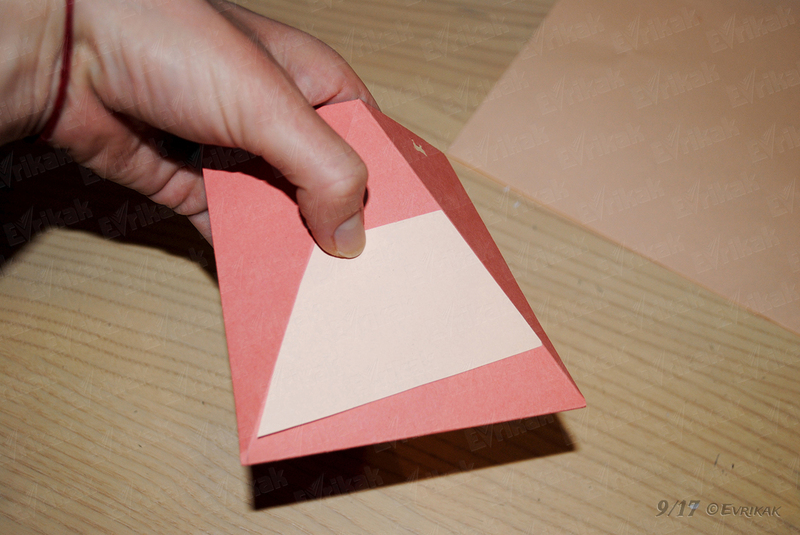 Attach it to the triangle. 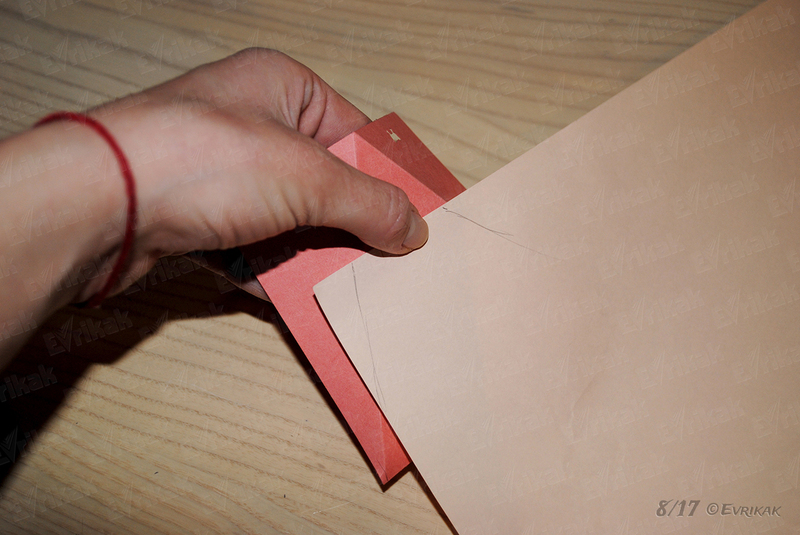 Transfer the side lines of the triangle on the beige cardboard with the help of a pen or a pencil. Cut off the figure you’ve got. It will not have the right shape. But it’s alright. Make the sides more clearcut and smooth. You must get a small trapezium. 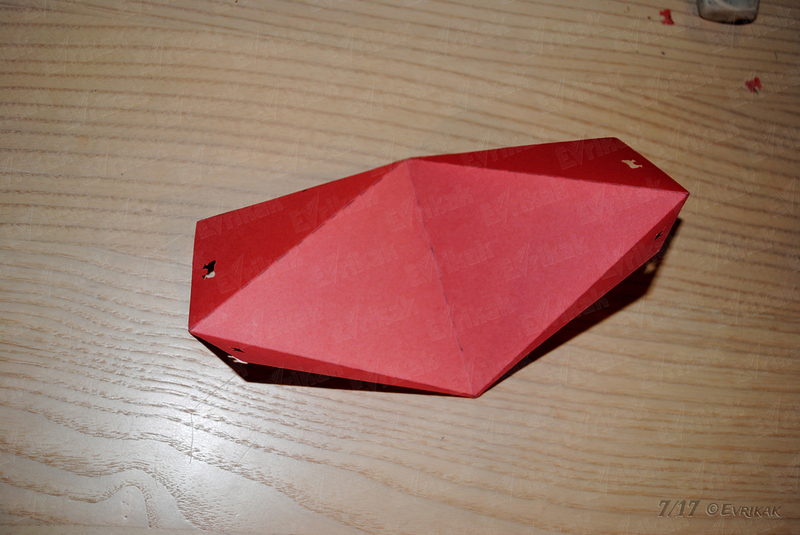 Glue it to the red cardboard in the middle of the “triangle”. 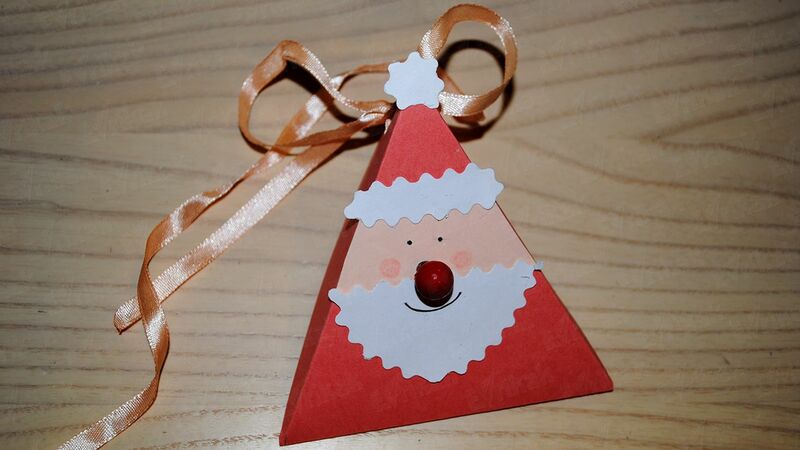 Now you’ve got Santa’s face. Next we will make a beard for him. Cut a wavy beard using a white cardboard. The top of the beard should be the same size as the lower part of the trapezium (the face). Glue the element. 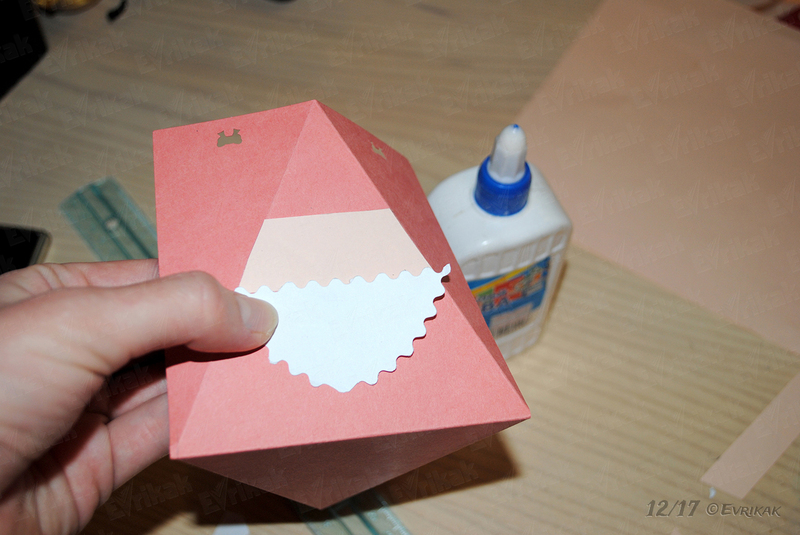 Further, cut the bottom part of Santa’s hat in the same way. Fur must be made of white cardboard too. 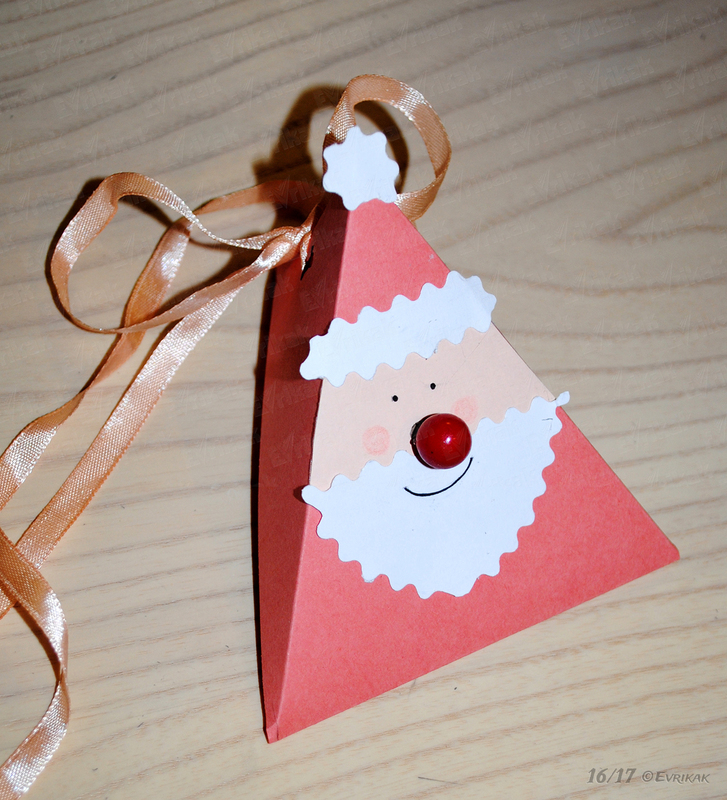 It must be the same size as the upper part of the trapezium (the face). 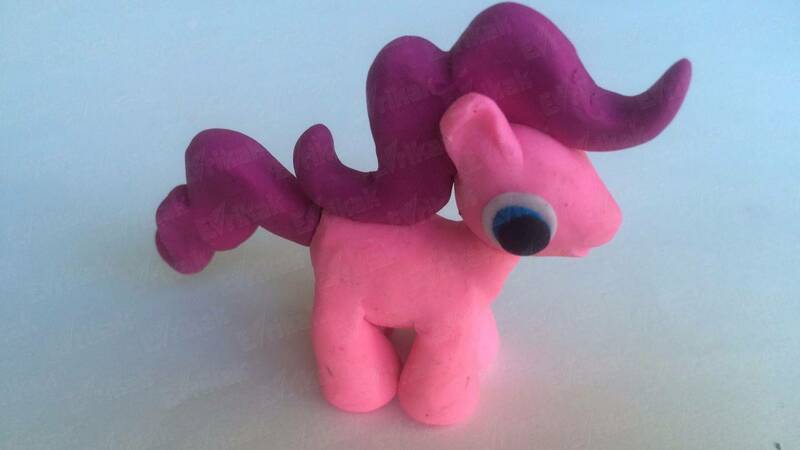 Attach a pom pom, draw the eyes and the mouth with the help of your pencil. Circle the face features using the marker. Make sure that all the elements are well glued to the basis. 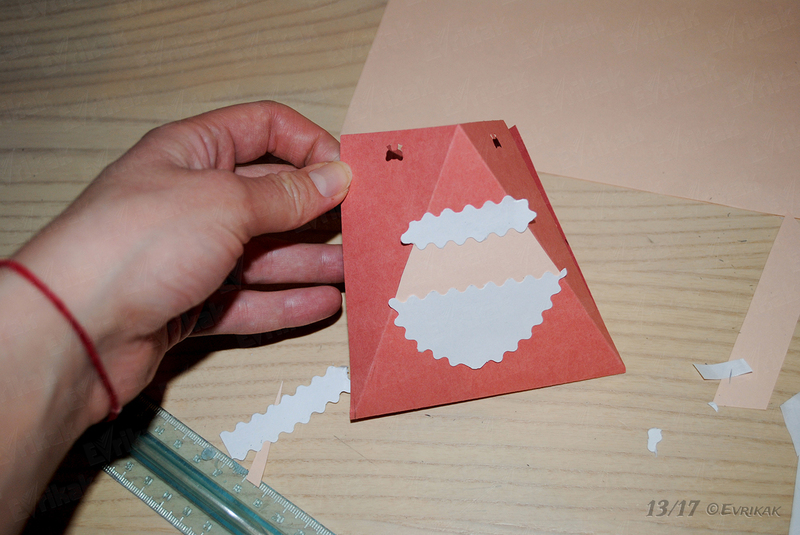 To give the box more spectacular look, stick a bright red bead instead of Santa’s nose and draw the cheeks. 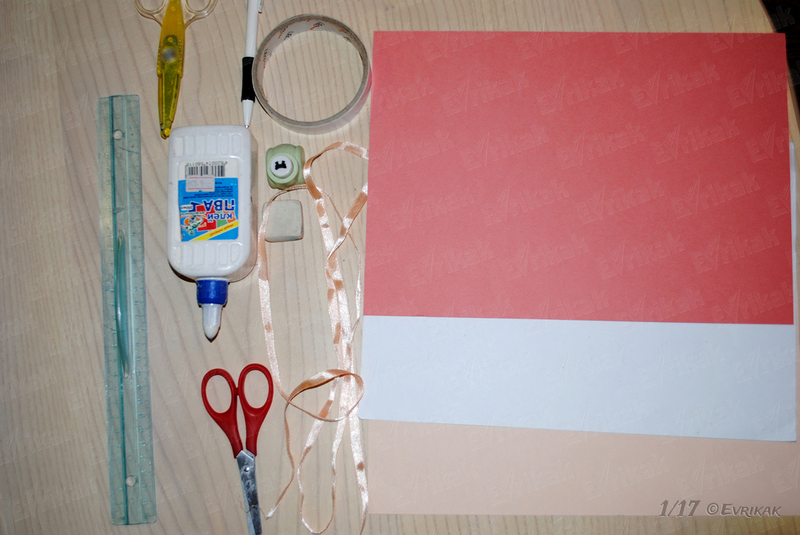 Connect all sides of the product with the help of ribbon to make a triangular box. Tie the ends of the ribbon in a bow. it will be easy to open it and put a gift in it in such a way.